WE SOMETIMES THINK that being religious or spiritual is a separate thing from everyday life. We might associate it with attending a Buddhist service in our main hall (hondo), chanting, or sitting in meditation--in short, removed from the every day. As Shin Buddhists, we take the view that our ordinary life is the spiritual journey. It is our attitude or state of mind that is important. It is how we see ourselves in the chaotic circus of modern life, and therefore navigate through that chaos. As Shin Buddhists, we take the view that our ordinary life is the spiritual journey. For if we are to live fully, we must live fully in the present moment. That present moment is not compartmentalized for only "spiritual" times. To live fully we are to be present in every present moment. HOW DO WE DO THAT? Our practice of voicing Namo Amida Butsu can be said to be an expression of gratitude for our assured awakening to this inconceivable life. that expression returns us the present moment more fully engaged than we were before. The recitation, also known as Nembutsu, can be described in various ways, but of course, remains beyond words. Here we apply the rule of receiving, rather than achieving. We may be forgetting that time when we were 2-year-olds, and we were the recipients of so much compassion, when many people took care of us. As my grandson runs around a store, is he aware that parental eyes are insuring his safety? As we conduct the business of our lives, are we aware that there are causes and conditions that sustain our life? Especially in 21st century America, we enjoy the democratic ideals of laws and an ethos of the common good. As we become aware that our individual ego is supported by a community and universal sense of Oneness, we realize our responsibility in supporting others for the common good. See the welcome from Temple President LuAnn Lee. See also the welcome to our path. 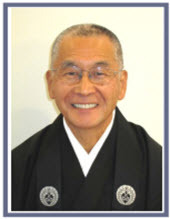 VIDEO: “What Is Shin Buddhism?” (In “Carving the Divine” Series) Sept. 2018. PODCAST: “Learning about Buddhism” (In “Learning about Other Religions” Series at the Pioneer Ocean View United Church of Christ) Sept. 2018.